In this paper, we present a knowledge-based approach to 3D shape management and service composition, exploiting and extending Web Services and Semantic Web technologies. Semantic Web technology fosters semantic interoperability, while Web Services technology is utilized to construct loosely coupled components, which, combined with workflow technology enrich the processing capabilities needed for e-Science and e-Engineering. 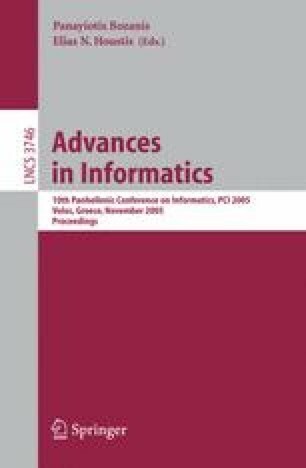 We propose an open system architecture for the formalization, processing and sharing of shape knowledge in order to efficiently support key activities: from shape creation, retrieval, post-processing and composition, to the categorization and transparent invocation of algorithms, to the automated construction and execution of complex process flows, to capturing metadata for accurate searching of shape and algorithmic resources. Two representative scenarios have been chosen, 3D shape geometry processing and 3D product development, which will demonstrate the potential of the platform in terms of establishing novel, knowledge-based and semantically enriched solutions dealing with the automation of the knowledge lifecycle.